The “energy transition” gives new challenges, but also new opportunities, for exploiting coal in the EU – with lower CO2 emissions. This Accompanying Measures project, supported by the EU Research Fund for Coal and Steel (RFCS), responds to current EU policy imperatives. It will promote the knowledge gained from the RFCS Research Programme and share experiences with the international research community. The aim is to develop, with stakeholders, a strategic research agenda for the Programme that is aligned with the EU’s Energy Union vision for 2050 and to establish a European Network of Clean Coal Technologists that complements the European Commission’s targeted platform to support the energy transition in the coal regions. 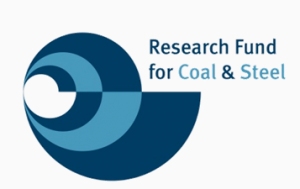 This project has received funding from the Research Fund for Coal and Steel under grant agreement No. 794369.